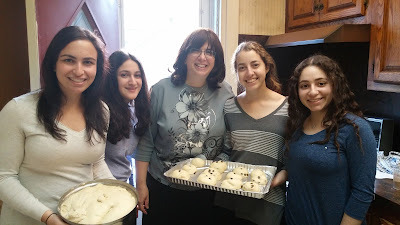 A group of senior girls joined Mrs. Shulman, Math Department Chair, at her house to bake Challah for Shabbat and to help raise money for the annual Senior Bake Sale. On Thursday May 7th, the Traveling Troupe capped off their wonderful year with a final trip to the Young Israel of Flatbush Senior Center. With the help of its devoted members, the troupe has grown immensely since its creation last year by Michael Zalta. At this final trip, all branches of the troupe that developed during its growth (the original performing troupe, the mitzvah clowns, freshmen troupe, and dancers troupe), united together to perform and celebrate their unparalleled achievements. 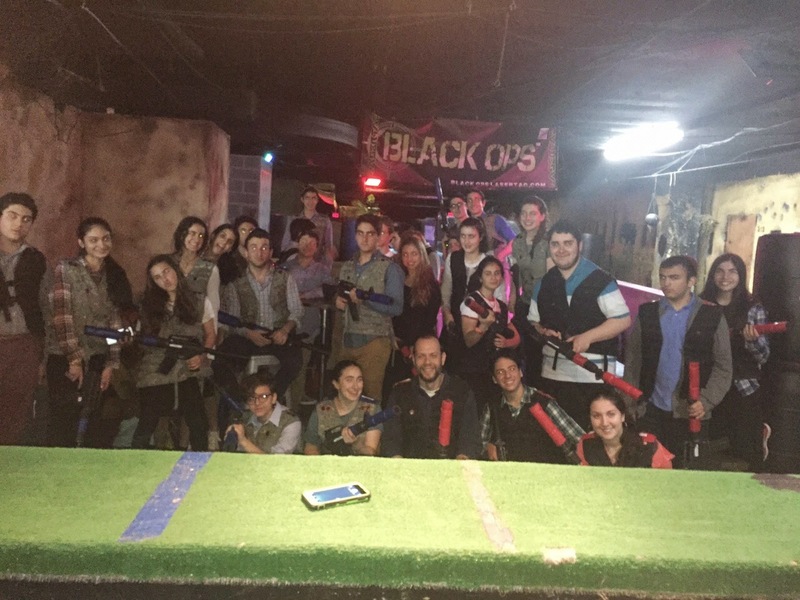 Class 2-HR enjoyed a day of Black Ops Laser Tag with their teachers, Mr. Hofstetter and Ms. Marcus. The class took a trip to Indoor Extreme Sports in Long Island City, Queens, on May 6 as part of the Sophomore Mentoring program, and everyone had a great time, especially the students whose aim was good enough to take down their teachers. Players were given vests, laser guns, and intimidating code names before spending the next hour and a half chasing each other through a maze of obstacles that included tires, oil drums, military vehicles, bookshelves, and even kitchen appliances. And best of all, everyone returned from battle safe and sound. 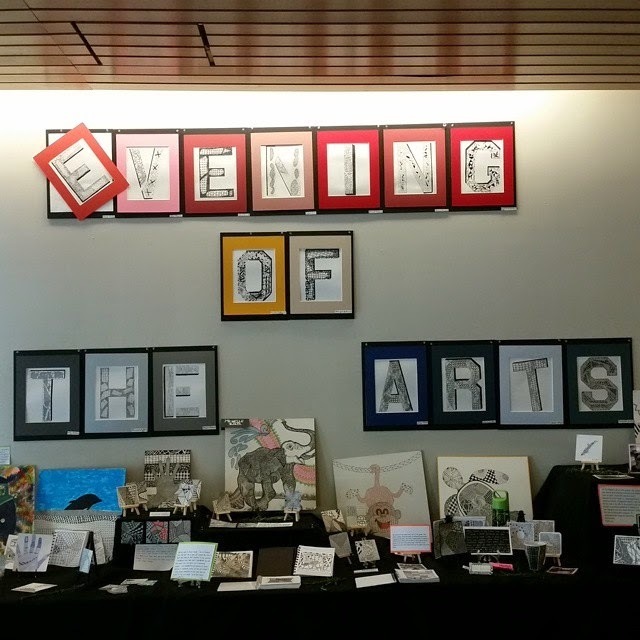 The 5th annual Evening of the Arts, held last night, was a resounding success. The audience got to enjoy an eclectic mix of performing, visual, and graphic arts. (not to mention refreshments!!) This celebration of the Arts Department here at Flatbush is a wonderful opportunity for both the talented student and the equally talented-- but often less seen Arts Faculty to strut their stuff, all to the delight of the overflow audience. 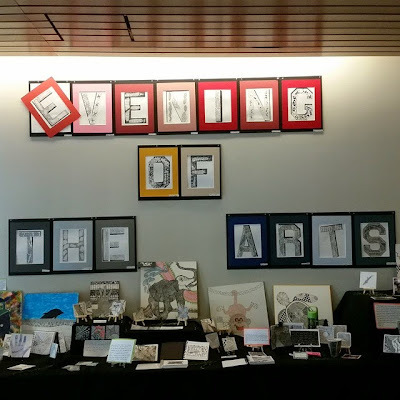 The musical numbers ranged from pop to standards to classical music, there were scenes from iconic Broadway plays and interpretations of original student poems, as well as an art gallery of interesting and evocative student work. Coordinated by Ms. Ruchie Winker and MCed by Ms. Shelley Kaplowitz, this was an evening Flatbush will long remembercertainly at least until the 6th Annual edition, next year. On May 5th the Yeshivah of Flatbush Business Competition, and all the competitors went to the one of the biggest banks in the entire world, J.P. Morgan. After many months of hard and diligent work the contestants got to present their ideas to 5 Judges from J.P Morgan (3 of which are Flatbush Alumni). The 4 Groups were: Brian Fuks with his idea “Time Charger,” a watch with a portable charger that can charge your phone. Next up was “Touch Security” by Abraham Goldman, Dylan Sutton, and Sam Beyda, a new way to lock your doors with your finger. After was Daphna Ben-Ari with her business, “Daphna Ben Ari New York,” a new shoe company that would compete with the likes of Manolo Blahnik, Brian Atwood, and Stuart Weitzman. Last but not least was “Rush Brush” by Sammy Burekhovich and Jason Dayan a company that wants to revolutionize the way Americans brush their teeth with their automatic toothbrush/retainer. 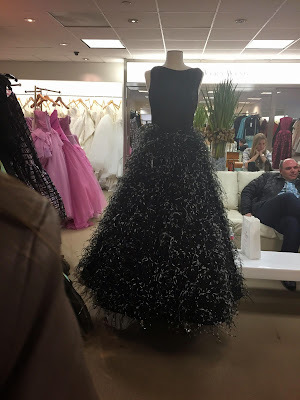 Next year we are hoping to get even more great ideas and business. If anyone has any questions feel free to contact Marvin Azrak at marvin_azrak117@flatbush.org. On a day with weather more suited to the football season than the baseball season, the Boys Basketball program took its first step into a new future when the new coaching staff for the 2015-16 season was introduced to the Flatbush basketball community. Michael Gurock and Augusto Kennedy met with the returning members of the boys basketball teams to share with the student-athletes their vision for the short-term and long-term future of the program, and to answer any questions they had about that vision and how the coaching staff plans to implement it. Coach Gurock will take over as Head Coach of the Boys Basketball program, a position held for the past two seasons by Avi Borenstein. While the Flatbush Athletic and High School Administration is most appreciative of the work done by Coach Borenstein in advancing the program from what was in place prior to his arrival, it was felt that it was the right time to build on that success with a turn in a different direction. With that in mind, the returning players were introduced to Coach Gurock. Coach Gurock comes to Flatbush with a wealth of experience both in the day-to-day operations of Yeshiva League athletics as well as a history of working with yeshiva students in the summer camp setting. 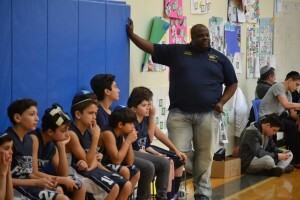 Gurock, a graduate of the George Washington University (BA, 2005) and Northwestern University (MSA, 2011), developed his love for coaching basketball very early on as he saw his father serve as an assistant on the staff of long-time famed an respected Yeshiva University Head Men’s basketball Coach Johnny Halpert. Gurock continues to draw on his father’s experience and support as a source of strength and encouragement in his own development as a coach and mentor. Gurock got his start in coaching under the tutelage of two past Flatbush Basketball coaches – both well-respected in their own right, Irv Bader and Mike Gelber, while at Camp Seneca Lake. After graduation from GWU, Gurock joined the athletic staff at Yeshiva University where he served as an assistant to the Athletic Director. While at YU, he helped to coordinate the day-to-day operations of all the school’s varsity athletic teams as well as oversight of the operation of the school’s prestigious Saracheck Tournament. After working at YU, Gurock moved to Israel, where he volunteered at Bet Elazraki Children’s Home, both coaching and counselling the Home’s at-risk youth. Upon returning to the US, Gurock settled in Chicago, where he worked for the MLS’s Chicago Fire Soccer Club as part of their marketing and events team while completing his Master’s Degree at Northwestern. 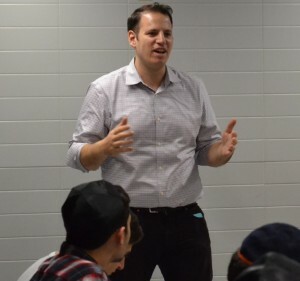 Gurock now lives in New York, where he has been working at the Columbia/Barnard Hillel and at Covenant House At-Risk Homeless Shelter while completing work on another Master’s Degree (he will graduate this summer with a Masters in Social Work – MSW – from the Wurzewiler School of Social Work at Yeshiva University). At the same time, Gurock has been a valued member of Head Coach Randy Dulny’s staff at Ramaz, where as a student he played basketball for all four years, serving as both Captain of the JV and later the Varsity squads. In addition to assisting Dulny with the Varsity, Gurock has been the lead coach for Ramaz’s JV, where he has steered the team to the MYHSAL playoffs the past two seasons. Equally significant to his appointment as the new leader of the Boys Basketball program is Gurock’s appointment as the new Boys High School Physical Education teacher for the 2015-16 school year. He replaces long-time teacher Norman Sanders, who retired this past January after many years of devoted service to the students of the Yeshivah of Flatbush. Gurock will work alongside returning Physical Education teacher Mike Gelber, who has done an outstanding job this past year in implementing the new curriculum that stresses the academic aspect of physical training and performance. As noted previously, the two have worked together in the past as staff members at Seneca Lake. Coaching alongside Gurock will be Augusto Kennedy. Coach Kennedy has served as an assistant to Coach Borenstein at Flatbush for the last two seasons, while also serving as the Head Coach for the Middle Division Falcons 6th Grade team (with former Falcon guard Joey Dayon as his assistant this past season, Coach Kennedy led this year’s 6th graders to a playoff berth, where they made a strong run, losing in the finals to a very powerful North Shore squad). He also apprenticed under the strong guidance of Flatbush’s 8th Grade Boys Head Coach Mike Gelber, serving as Gelber’s assistant during the 2013-14 season. 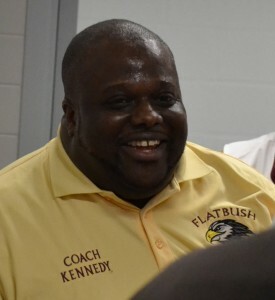 Coach Kennedy will serve as the Assistant Coach for the Varsity, and he will step up and serve as the lead Coach for the Flatbush JV Boys team (Coach Gurock will assist on this level). Prior to coming to Flatbush, Coach Kennedy earned a wealth of experience as a member of talented and experienced collegiate coach Ronnie Ganulin’s staff at St. Francis College of Brooklyn. Kennedy, too, has also garnered knowledge while under the tutelage and guidance of former Falcon Head Coach Irv Bader for many summers as a member of his staff at Seneca Lake Camp. Though no longer with Flatbush, Avi Borenstein will still be on the sidelines in the MYHSAL, as he has been appointed to the position of Director of Basketball Operations for JEC in Elizabeth, NJ, where he will also serve as the program’s Head Coach. The Flatbush Athletic Staff wishes him only the best as he takes his talents back home to New Jersey (except, of course, when they face the Falcons on the court!). Coaches Gurock and Kennedy have already begun open workouts for returning and hopeful players for the 2015-16 edition of the Flatbush Falcons High School Basketball teams. Please check with the Athletic Office or with the coaches for specific dates, sites and times for these sessions. Attendance is not mandatory, and it is only in preparation for tryouts slated for this coming August/September at the start of the 2015-16 school year. Our latest biannual Blood Drive, held on April 21st, was a smashing success. We collected 194 pints of blood, which was the greatest we have done since 2009. That blood will go to impact the lives of upwards of 582 people. Thank you for all those who came out to save lives and donate blood. Thank you to all the student commissioners who coordinated the whole event. 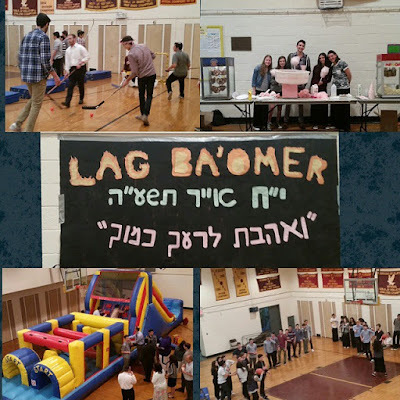 On Yom Ha'atzmaut, Thursday, April 23, 2015 Yeshivah of Flatbush held its annual Spring Concert event, which is a showcase for many of our high school's most talented musicians and vocalists to share their talents with a vibrant audience of peers and members of the faculty. Under the leadership of Sophomore Michael Cattan, the concert proved to be a huge success, both musically and through technical execution. Sound and lighting effects were operated magnificently by Joey Baum of the AV Squad with the help of Michael Chakkalo and Yair Chiyah, and Isaac Levi manned the video camera, while Aaron Le-Montee handled his role as MC with humor and panache. The faculty supervisor was Mr. Leor Kweller. Yeshivah of Flatbush celebrated Israel's 67th birthday on Yom Ha'atzmaut like no where else. The school prayed shacharit together in the auditorium with a beautiful Tefillah Hagigit, one that set the light and spiritual mood for the rest of the day. As minyan came to a close students filed down to the gym for a delicious breakfast of bagels, blue and white doughnuts, and cereal. Students munched on breakfast as Rabbi Besser picked up the mic and began singing while others students joined in. The entire school sang and danced together. It was exhilarating dancing with the flag of Israel. The next part of the program took place in the auditorium where everyone was dazzled by the joint choir performance of the High School, Middle Division, and Lower Division Choirs. Celebrating Yom Ha'atzmaut at Flatbush is truly unique. At the Yom HaZikaron assembly, the Yeshivah of Flatbush students and faculty remembered the Israeli soldiers who sacrificed their lives to insure the safety of the Jewish homeland and reflected on the many tragedies that have occurred, including the latest summer events of missile attacks on civilian populations and the many innocent Victims of Terror. The videos, the music and the atmosphere had a profound impact on everyone. Special thanks to all the participants in this program and most importantly, to Dr. Lea Gerber for coordinating this very moving experience.